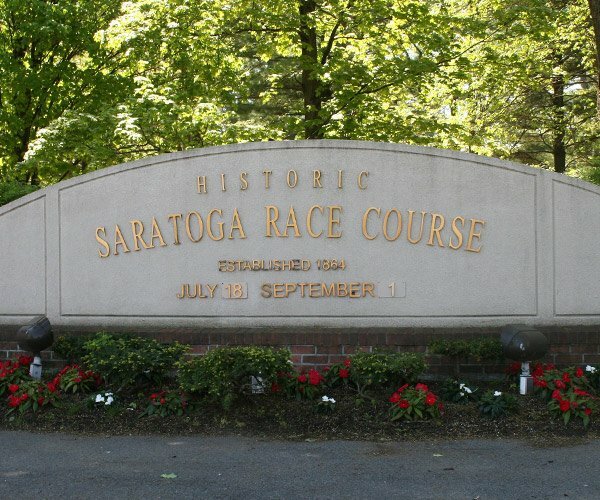 Planning to spend the day at Saratoga Race Course? 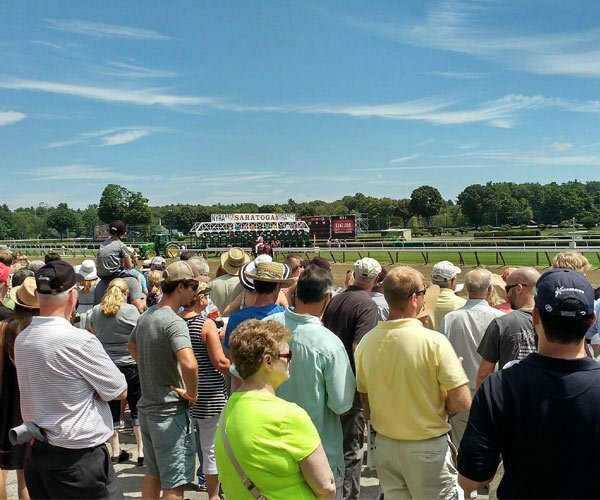 Below, you'll find lots of helpful information to help you plan your visit, including activities kids can enjoy at the track, the ever popular giveaway days, frequently asked questions, and much more. Find out when this year's scheduled giveaway days are and what items you can look forward to. 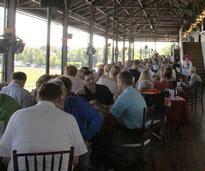 There are lots of great dining options at the track, from sit down restaurants to concessions. 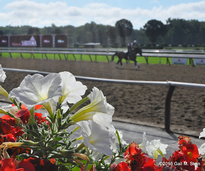 Start your day at the track early with breakfast on The Porch! You won't want to miss this unique experience. 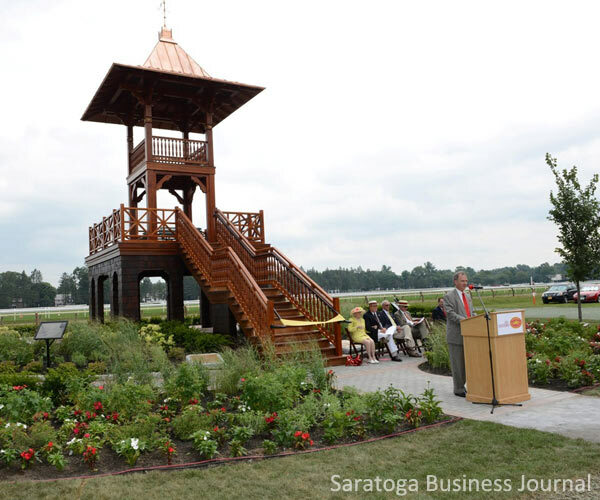 After you enjoy breakfast at the track, take a walking tour or a tram tour of the stable area. Got questions? We've got answers! 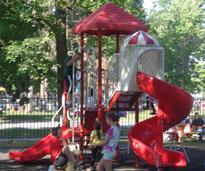 Visit our FAQs section to see if your inquiry is answered there. Bringing your kids to the track? 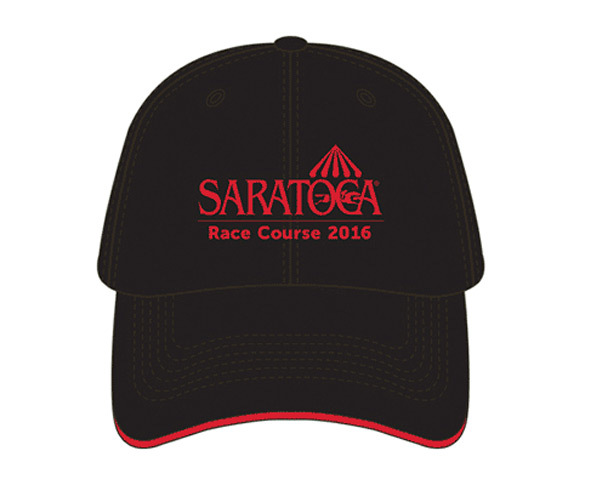 Learn more about kid-friendly attractions and events at the Race Course. 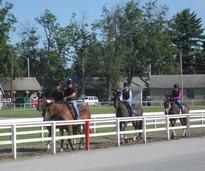 Watch morning workouts at the Oklahoma Training Track from the Whitney Viewing Stand. Tie the knot at the track! 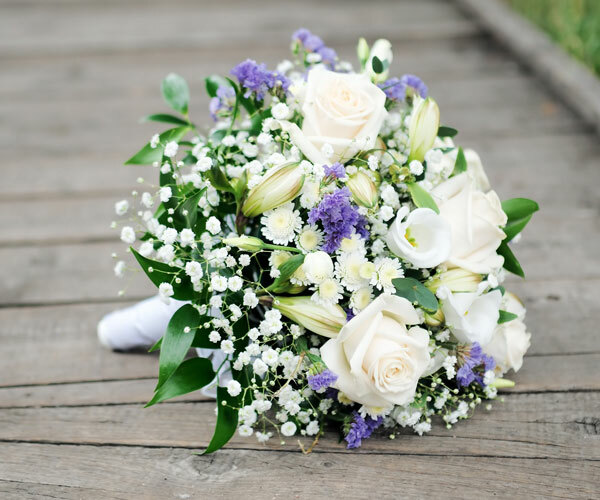 Learn more about available venues for your special day. Our Top 10 Tips for Trackies may not make you a millionaire, but they should make you laugh! 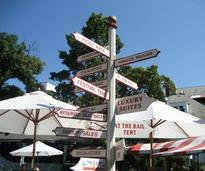 Find your way to Saratoga Race Course no matter which way you're coming from. 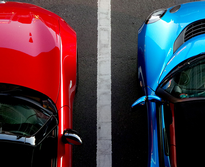 Wondering where to park when you head to the track? There are many different options!